You can exit a guide at any time, or select a new one! Respond with either q (quit), c (continue), or by entering a guide name! 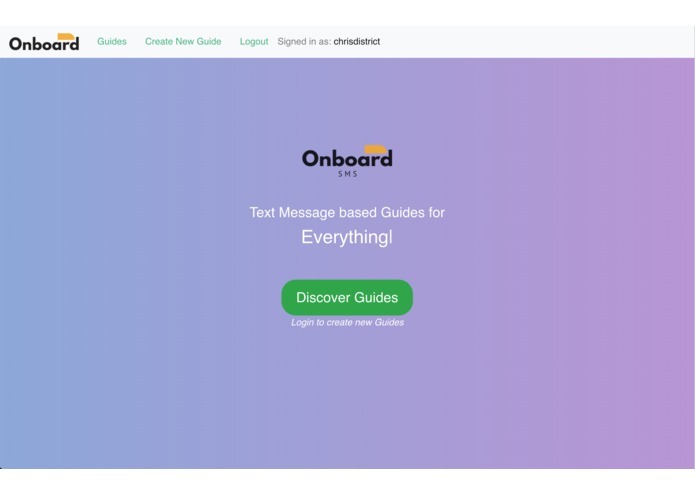 SMS Onboarding Guides in under 160 characters. 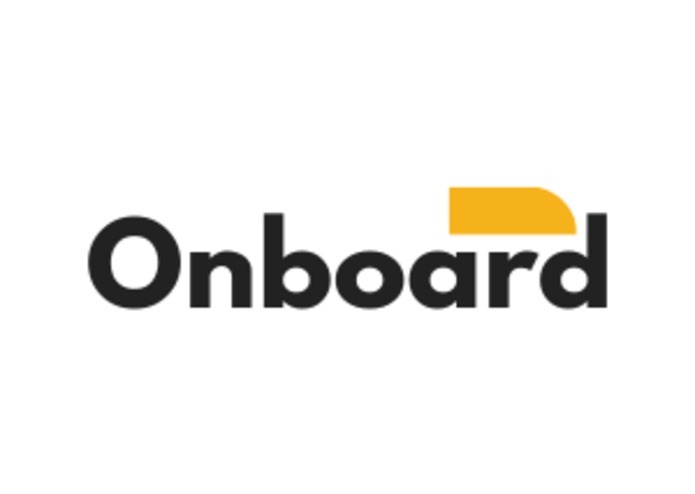 Onboard SMS delivers guides and tutorials to you via text where ever you are, regardless if you have WIFI connection or not. Find/make any guide you want! For example, on addressing an injury when you're on a hike, setting up a piece of software, or just sharing your grilled cheese sandwich recipe. Enables anybody to set up a protected account and author new text-message guides. 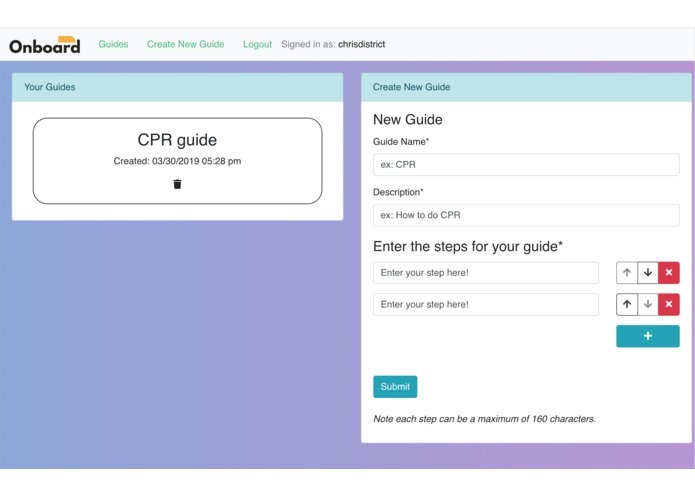 Create a new guide by signing into the app (Okta). Provide a list of short steps - each one will be delivered to the requester in a text. Request a guide be delivered to phone. Simply text the guide name to an indicated phone number presented in the Onboard SMS guide search screen. 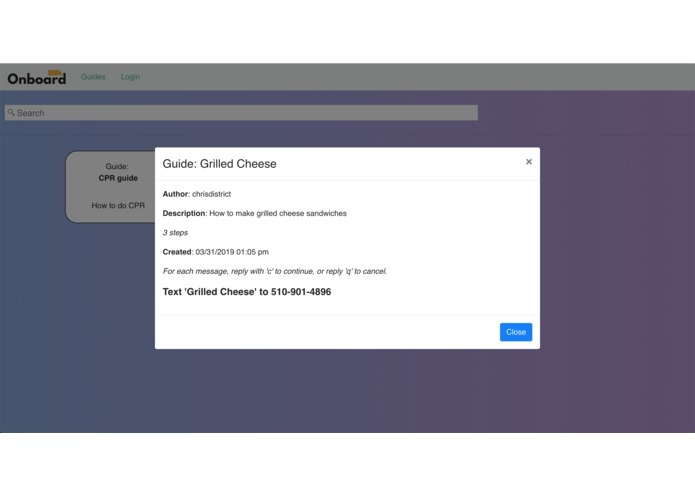 Step through the guide from your cell phone by simply sending a reply to the sent text (Twilio). Using Okta for authentication flows along with a Flask API layer for receiving incoming texts and managing user guides. 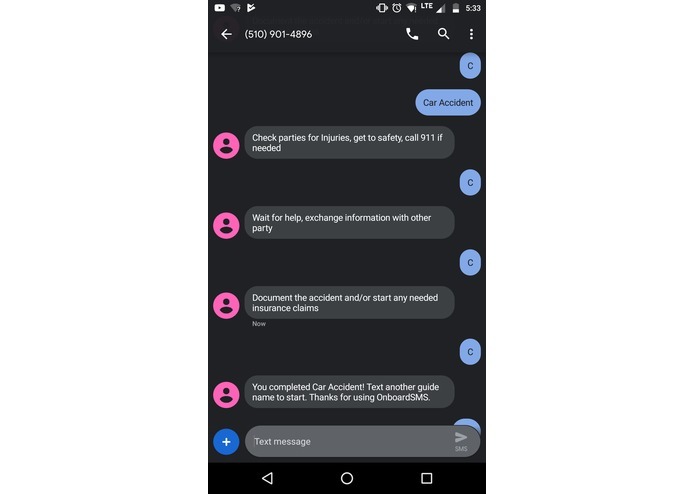 Twilio for conversation flows, listening to messages, and managing text message fulfillment. TinyDB for server side storage. Managing state with the Twilio API. Using flask and a db state for the steps of the individual guide. 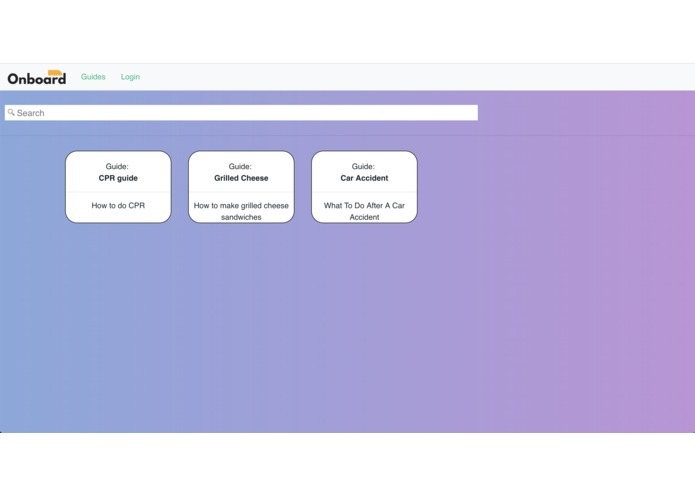 Setting up a flexible UI/schema to query and manage guides. 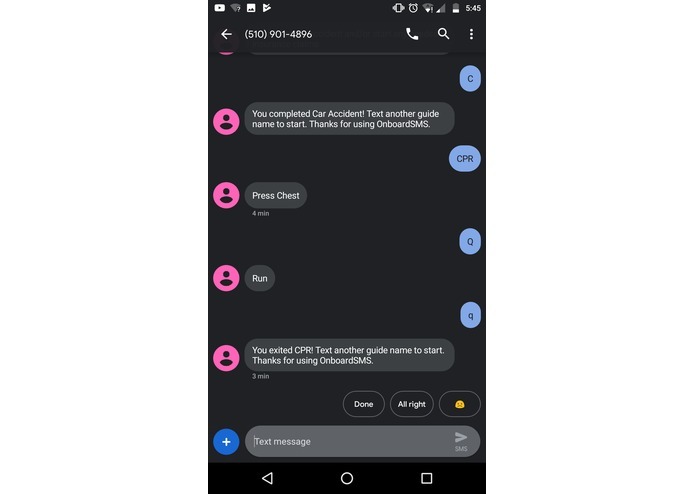 I didn't think maintaining a conversation state (or creating a chat bot) could be possible - with the help of a few Twilio docs, was able to make it work! Okta React was a fairly simple way to manage state. Added redirect back to the home page if anyone isn't properly logged in. 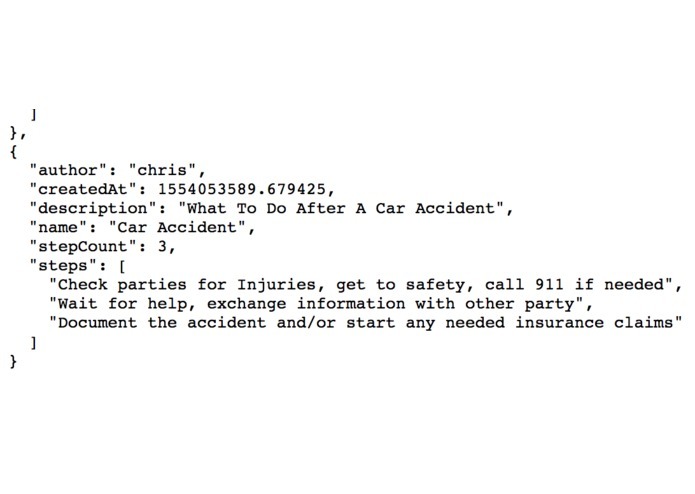 How to interface with the Twilio API and maintain conversation state across people texting. Deploy the server and open the platform for folks to create their own text message based guides.